While things are up in the air with my Dad resulting in regular night visits to Derriford Hospital I am really just bringing some of the excellent photos that are appearing on Flickr to your attention. aecregent never fails to provide some great shots and I have had this one on hold for a while. 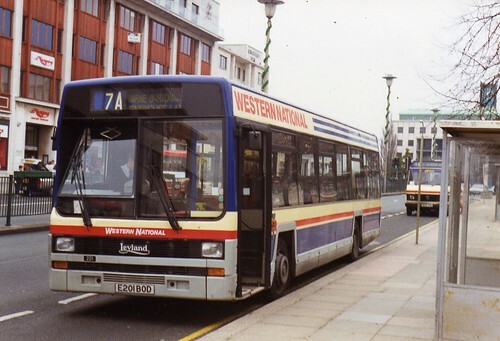 201 E201BOD in April 1992. There is another shot of sister 200 which illustrates the subtle livery differences which i had never noticed before.